LAS VEGAS – Las Vegas will tackle the Big Game with a roster of exciting activities and events, Sunday, Feb. 3. From the Strip to Downtown, football fans can catch all the action while enjoying over-the-top offerings, mouthwatering specialty menus and game changing entertainment. Recently opened at The LINQ Hotel & Casino, The Book is the newest hot sport for sports fans, featuring move than 50 televisions, custom game day food and beverage menus as well as the Strip’s highest resolution LED video wall. General admission guests will enjoy access to reserved seating, premium open bar and all-you-can-eat buffet. Those looking for an elevated viewing area can upgrade to the VIP Fan Cave Experience, which includes a private seating area for up to 10 guests, complete with three televisions and an Xbox console, as well as access to the open bar and buffet. The Downtown Las Vegas Events Center will host its annual Big Game Bash, which transforms the Downtown Watch Zone into a tailgating haven featuring a massive 72-foot LED screen with stadium surround sound as well as two additional 22-feet LED side screens. Revelers can choose between premium on-the-field seating or private man caves at the larger than life watch party. Centered around a 90-inch high-definition television, the Race & Sports Book at The Cosmopolitan of Las Vegas boasts state-of-the-art LED walls, dozens of HDTVs and the latest in mobile wagering technology. A combination of lounge-style seating areas, traditional betting stations and VIP areas are available for booking during the Big Game. Mabel’s BBQ located inside Palms Casino Resort will serve up the ultimate tailgating menu, featuring classic barbeque dishes including beef brisket and spicy pulled pork as well as a selection of local craft beers and custom frozen cocktails during the Big Game. With doors opening at 2 p.m., the vibrant new restaurant will offer all you can eat and open bar packages, priced at $125. Game day goes gourmet at Buddy V’s Ristorante inside the Grand Canal Shoppes at The Venetian Resort Las Vegas. The eatery will offer an all-you-can-eat menu featuring Grandma’s Meatballs, Italian Hero, Hoboken Style Wings, Sausage & Pepper Pizzas and Mac & Cheese Carbonara. For a sure thing, hungry fans can head to Moneyline at Park MGM for a mouthwatering menu of classic tailgate fare. Guests can also head across the street to Beerhaus at The Park, which offers a fresh take on the classic beer hall with an artfully curated menu of craft beers and savory snacks. Partygoers will get into formation for the Big Game Weekend at Drai’s Nightclub atop The Cromwell with a lineup of unforgettable hip-hop performers. The all-star performances kick off on Friday, Feb. 1 with Method Man and Redman, followed by Big Sean on Saturday, Feb. 2 and French Montana wrapping up the weekend on Sunday. Leading up to the Big Game, XS Nightclub at Encore Las Vegas will score with performances by internationally known DJs The Chainsmokers on Friday and Alesso on Saturday. Revelers can keep the party going on Sunday with VIP table packages, which include various food and bottle service options. Gold Spike’s “The Big Spike” Big Game celebration will return to the Downtown Las Vegas hot spot with a game day blowout bash starting with a backyard tailgate at 1:30 p.m. Priced at $85, Big Spike packages are available and include premium open bar and tailgate buffet. The postgame celebration will start at 10 p.m. with DJ TeenWolf. 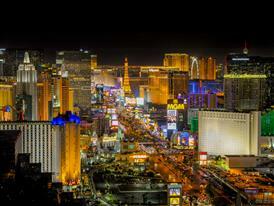 For more information about Las Vegas or to plan your next trip, please visit www.VisitLasVegas.com.